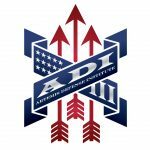 “I have been attending Artemis for about a month now and gone thru a dozen scenarios and without a doubt, this training facility is the best professional facility available to the public for situational awareness on defense issues one could encounter in your daily life. As a nuclear operator, we train extensively on simulator scenarios where mistakes can be made and no harm to the public. Much the same at Artemis, if you want real life situational experiences to hone in your defense tactics there is no better place to train than at Artemis. Steve, Sandy and daughter are very professional and have a great support staff to make your visit enjoyable and a learning experience you won’t forget. Take advantage of their free demo and I guarantee you’ll be back.” –Ben T.